(Seen at the afternoon performance on 24th November 2018). And it was genuinely worth the effort. Everybody thinks they know the story from the famous 1980s movie. Francis “Baby” Houseman and her family spend three weeks at Kellerman’s Summer Hotel (a sort of up-market holiday camp to us Brits). She falls in love with lead Dance Entertainer Johnny Castle, and becomes enmeshed in the world of the Entertainments team. She learns to dance, and both her and Johnny learn a lot more about life. Frederico Bellone and resident director Russ Spencer give us proper sticks hidden inside the seeming candyfloss. The first half is very much a set-up for the volley of sucker-punches the show delivers in the second. You may think it’s a fairly light dance show before the interval, but that’s just a false sense of security for what follows. For fans, all the famous elements are here too; Roberto Comotti does extraordinarily well to re-create the famous scenes even on a set designed to tour. Yes, you get the “log,” the “water rehearsal” and of course well, you know what – and they are all inventive, fun and done with high-quality precision as all concerned deserve no less. Sure, the show uses mostly recorded music, with a decent four-piece band (stay past the final curtain, they are worth it), but the big song is live and thrilling. Best are the cast. As Johnny Castle (Michael O’Reilly) seems to cope with the #metoo harassment dished out by the rear stalls, and finds compelling range between dispassionate and tenderness. Like co-star “Baby” (Mira Malou), the pair excel as dancers, Malou quite a pleasure to watch her growing self-awareness evolve with that skill. 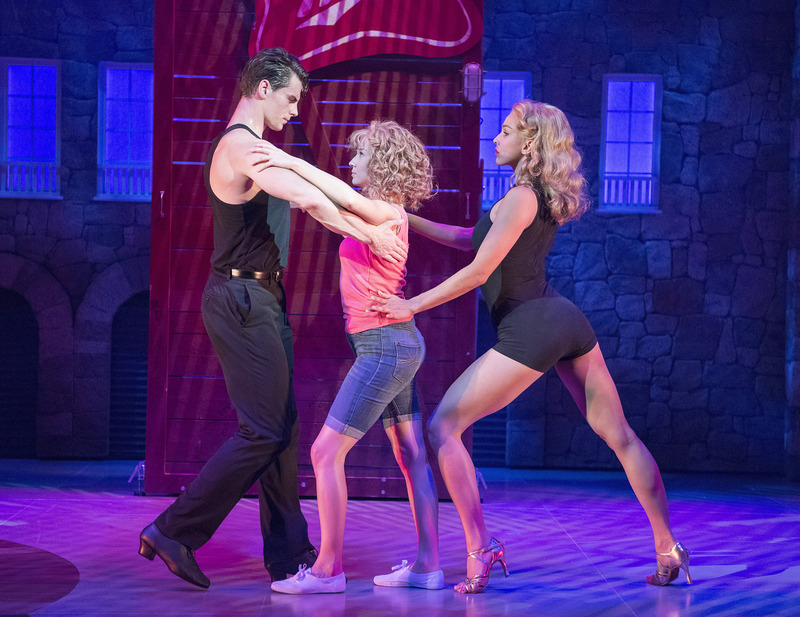 Eye-catching Penny (Simone Covele) is more than just a stage-filling figure with possibly record-breaking extension. Her major dramatic thread is well-handled, the child / woman dynamic warm and very real. In supporting roles, Lisa Houseman (Lizzie Ottley) almost steals the show with “Lisa’s Hula.” Her parents Dr Jake (Lynden Edwards) and Marjorie (Lorie Haley Fox) display notably strong gravitas and a decent singing voice respectively. A credible family, well cast. As Elizabeth, Sian Gentle-Green deserves note for vocals and characterisation that should interest the casting director of “Hamilton” next season. Her boss, kindly Max Kellerman (Jack McKenzie) should move her up next season at least – and if he could hold me a cabin for the first three weeks in August, I’d be obliged. Son Neil Kellerman (Greg Fossard) should learn from his father some manners, but doesn’t need to learn much about acting, going on his ability to create a dislikeable yet not repellent character with few scenes to do so. Robbie Gould (Tom Bowen) does likewise, his shock at the end a notably well-played detail. Two other mentions – Tito Suarez (Colin Charles) as mentor and musician, and Billy Kostecki (Alex Wheeler) also deserve recognition for important contributions. And not forgetting Mr Schumacher (Mark Faith) and some neat illusions. The tightly choreographed (Gillian Bruce) ladies and gentlemen of the dance team never flag in energy, rarely miss a single step and make certain that the true atmosphere of the Catskills in 1963 reaches every corner of the theatre. 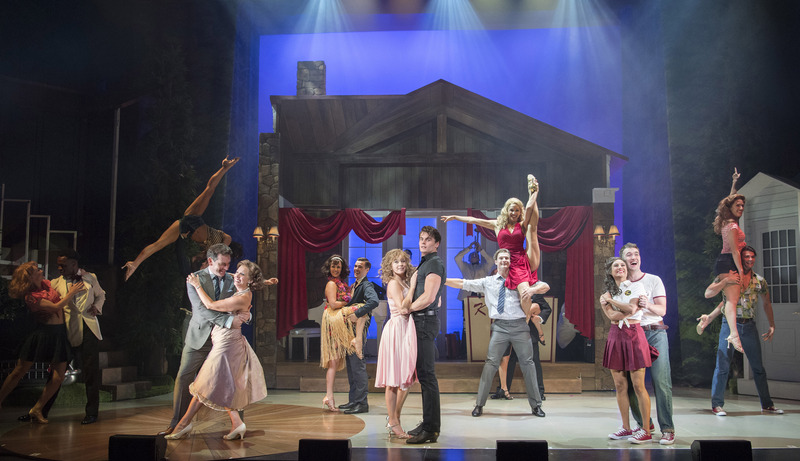 This production does exactly what it should – giving the audiences “The Time Of Our Lives” without sparing a thing to keep us entertained at all times, exactly as Kellerman would want. If it comes your way, book in for a summer you won’t forget. Photo credit: Alastair Muir. Used by kind permission of Wimbledon Theatre.